With the new government talking about implementing e-governance, India has started using digital and social media as the primary mode of communication. Hence it is expected that new technologies would now achieve mainstream adoption faster. The Indian government backed up by private players, has started implementing better infrastructure in place, TRAI has increased the minimum bandwidth norms to increase connectivity and internet penetration is set to increase in tire 3 and rural areas. With merging of broadcast and broadband channels, the rate of consuming video content is touching new heights. Online channels come with the convenience of on-demand, any-where and any-device viewing. The world’s major economies have embraced the new media but India is yet to explore the benefits and services of paid over the top (OTT) video services like Video-on-Demand (VoD), Subscriber Video-on-Demand (SVoD) and Pay-per-View (PPV) content. Internet has evolved from normal text and images to videos that consist of the majority share of all web traffic. Recent report from Cisco predicts that by 2017, 70% of the world’s mobile Internet traffic will consist of videos. Rapid growth of Over-the-top (OTT) video content delivered over a broadband connection versus TV operators is gaining momentum. Customers are now able to subscribe for premium over the top (OTT) video services like Video-on-Demand (VoD), Subscriber Video-on-Demand (SVoD), and Pay-per-View (PPV) content at lower cost and minimum commitment. Online video services that began with a catalogue of movies are gradually including live TV, entertainment, programming and sports entertainment into its bunch. In India, video over IP and Internet traffic is also growing, though at a slow pace in comparison to global peers. India’s media and entertainment sector depicts rapid growth and is expected to exceed 17 billion USD by 2017. A number of small companies like Spuul, ErosNow, Bigflix and BoxTV have sprung up which are trying to gain reliable consumer base. These companies offer Bollywood movies, regional content and broadcasted TV shows on models like Free ad served Video-on-Demand (VoD), Subscriber Video-on-Demand (SVoD) and Pay-per-View (PPV) content, with little or no live and sports content. Also advertising backs a lot of content, hampers the overall user experience and defeats the purpose of OTT Video services. What India really needs is different models with innovative ideas that could entice customers to utilize its video portals and play video clips. Reports suggest that India has the potential to become equal to leading countries in terms of OTT consumption of Video-on-Demand (VoD), Subscription Video-on-Demand (SVoD) and Pay-per-View (PPV) video content. India has the second largest mobile broadband market with approximately 25 million 3G connections till date. Indian mobile data traffic comprising of video content would increase to 40% by 2016. Consumers viewing full-length movies and TV shows on Internet are increasing on daily basis and a lot of TV channels have started putting their TV shows and episodes online immediately after its TV broadcast. India has the one of the biggest Internet user base in the world and the largest in terms of incremental growth. Smart TV penetration in India is expected to reach 14% by 2016. Mobile video sharing in India remains high at 65%. India, which is a cricket frenzy nation, has a massive drive of consumers who watch live streaming of cricket matches and T-20 tournaments. Taking into view all these recent reports and figures, Telecom Regulatory Authority of India (TRAI) has also set the benchmark to increase the minimum broadband download speed for operators and ISPs to comply with. 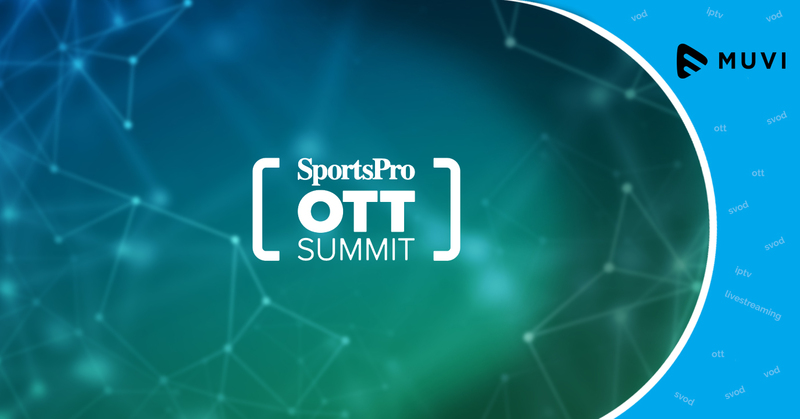 Inspite of the fact that Indian market is price sensitive and traditional TV services are widely accepted till date, growth of OTT video content is on the horizon. India has huge Internet enabled mobile user-base, rising Internet penetration, improving infrastructure and increasing consumer appetite for on-demand video content services. Today consumers have started accessing Internet TV, Video-on-Demand (VoD), Subscriber Video-on-Demand (SVoD) and Pay-per-View (PPV) video content in the way they want and enjoy content any time, any place, through their computers, laptops, smartphones, tablets, games consoles or connected smart TVs. There is no doubt that VoD market is one of the brightest sectors of Indian economy. Having said that entrepreneurs and investors can avail the advantages of VoD and gain maximum share of VoD market in India. Visit us to learn how Muvi can help you to launch your own-branded Video Streaming site at no cost and in a few hours!